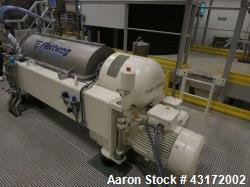 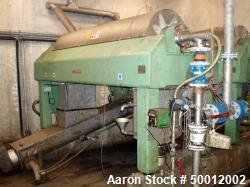 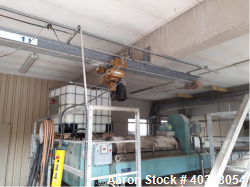 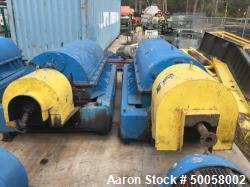 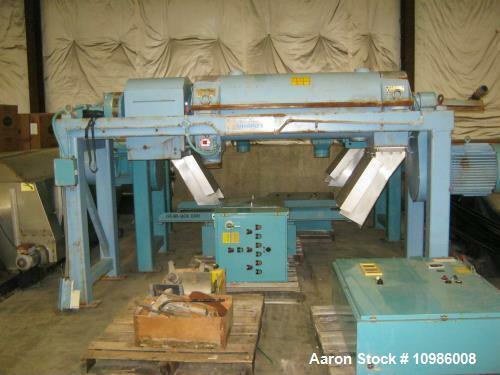 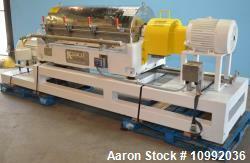 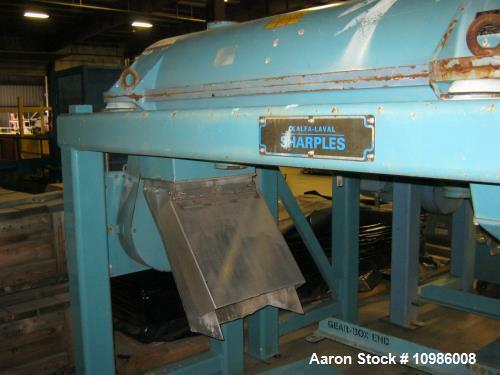 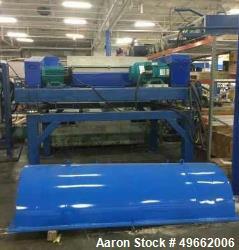 Used- Sharples PM-38000 Super-D-Canter Centrifuge. 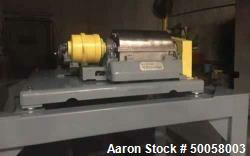 Stainless steel rotating assembly, max bowl speed 4000 rpm. 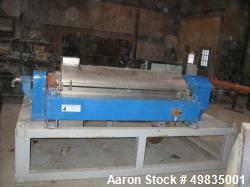 Single row lined cake discharge ports, casing (carbon steel), gearbox 2.5 km, safety guards, feed pipe, main drive 460/3/60, backdrive. 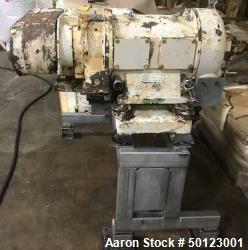 Mounted on stand.